Recognisable images captured by CCTV systems are personal data“. They are therefore subject to the provisions of the Data Protection Acts. 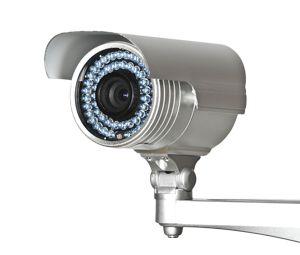 A data controller needs to be able to justify the obtaining and use of personal data by means of a CCTV system. A system used to control the perimeter of a building for security purposes will usually be easy to justify. The use of CCTV systems in other circumstances – for example, to constantly monitor employees, customers or students – can be more difficult to justify and could involve a breach of the Data Protection Acts. This can usually be achieved by placing easily- read and well-lit signs in prominent positions. A sign at all entrances will normally suffice. If the Gardaí want CCTV images for a specific investigation, it is up to the data controller to satisfy himself that there is a genuine investigation underway. For practical purposes, a phone call to the requesting Garda’s station may be sufficient, provided that you speak to a member in the District Office, the station sergeant or a higher ranking officer, as all may be assumed to be acting with the authority of a District/Divisional officer in confirming that an investigation is authorised. 1. Any person whose image is recorded on a CCTV system has a right to seek and be supplied with a copy of their own personal data from the footage. To exercise that right, a person must make an application in writing. The data controller may charge up to €6.35 for responding to such a request and must respond within 40 days. 2. When making an access request for CCTV footage, the requester should provide the data controller with a reasonable indication of the timeframe of the recording being sought – i.e. they should provide details of the approximate time and the specific date(s) on which their image was recorded. For example, it would not suffice for a requester to make a very general request saying that they want a copy of all CCTV footage held on them. Instead, it is necessary to specify that they are seeking a copy of all CCTV footage in relation to them which was recorded on a specific date between certain hours at a named location. Obviously, if the recording no longer exists on the date on which the data controller receives the access request, it will not be possible to get access to a copy. Requesters should be aware that CCTV footage is usually deleted within one month of being recorded. 3. For the data controller’s part, the obligation in responding to the access request is to provide a copy of the requester’s personal information. This normally involves providing a copy of the footage in video format. In circumstances where the footage is technically incapable of being copied to another device, or in other exceptional circumstances, it is acceptable to provide stills as an alternative to video footage. Where stills are supplied, it would be necessary to supply a still for every second of the recording in which the requester’s image appears in order to comply with the obligation to supply a copy of all personal data held. 5. Where a data controller chooses to use technology to process personal data, such as a CCTV system to capture and record images of living individuals, they are obliged to shoulder the data protection obligations which the law places on them for such data processing. In the matter of access requests for CCTV footage, data controllers are obliged to comply fully with such requests. Claims by a data controller that they are unable to produce copies of footage or that stills cannot be produced from the footage are unacceptable excuses in the context of dealing with an access request. In short, where a data controller uses a CCTV system to process personal data, its takes on and is obliged to comply with all associated data protection obligations.